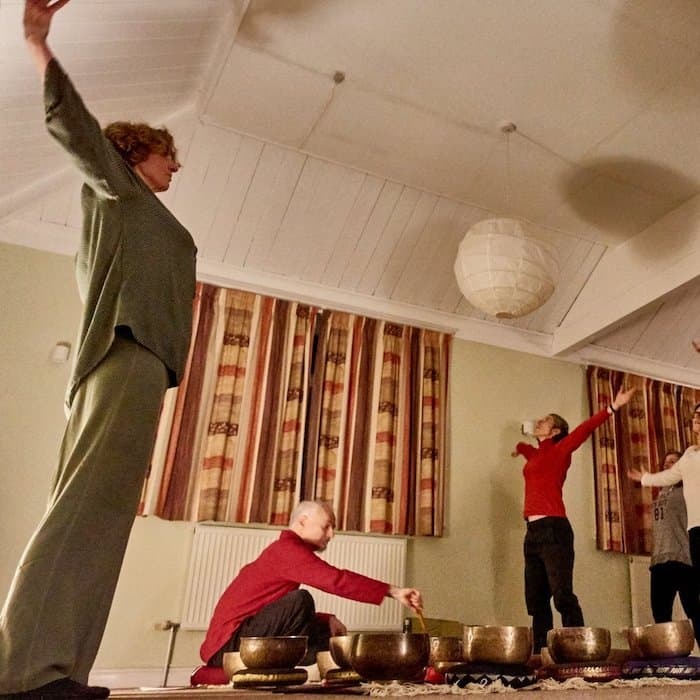 (Looking for a different Qigong & Tibetan Bowls session? Do you tend to lose heart and give up on things? Do you feel you don't quite have what it takes? Do you feel the need to open your Heart? 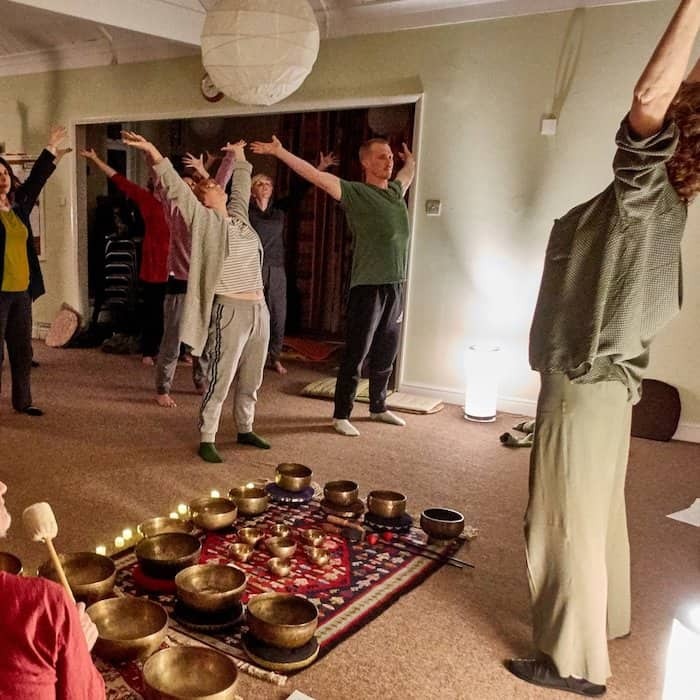 As nature expands into its true glory as we move into Summer, this Heart-opening evening of Qigong movement to the beautiful sounds of Tibetan Bowls will help you step forward with power and courage into the truest expression of yourself. In Chinese Qigong theory, high Summer embodies the energy of Fire, of heat, of expansion and of full, glorious, unapologetic manifestation. It is the Element of the Heart, of joy, of love, of passion, of peak power and of courage. For it takes great strength and courage to step one's most authentic self out into the world; to move from Spring into Summer - beyond a good idea, beyond planning, beyond taking yet another course and to decisively and unapologetically step forward out of the shadows. Our harmonising practice will clear internal blockages that are holding you back from expressing your own gifts and realising your dreams. This is the perfect moment. As Spring shifts into Summer, we can harness the energy of nature's seasonal transition to encourage the same movement within us. 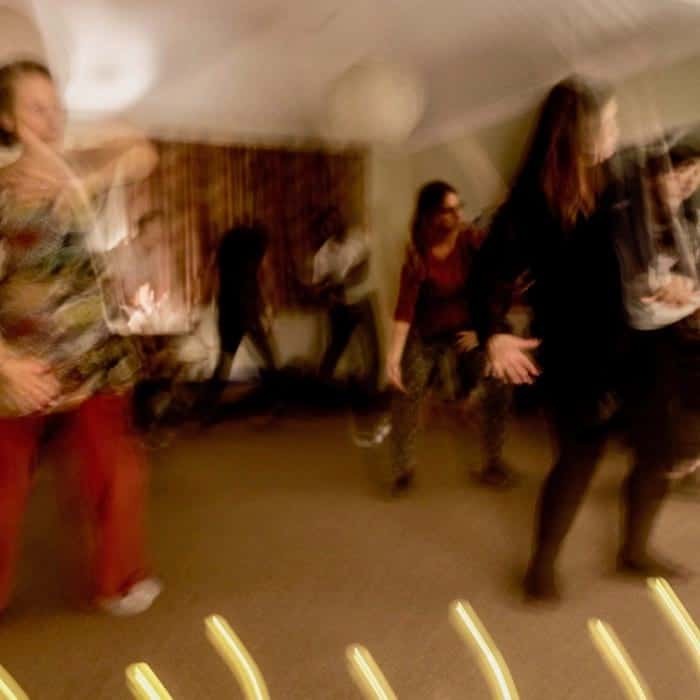 Do join us for this evening of harmonising and empowering practice. Open to all - men and women of all ages. 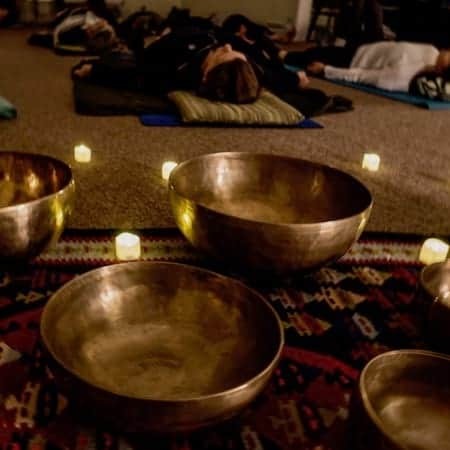 Stillness - to bathe in the sounds of the Tibetan Bowls. Qigong - gentle movement, breath and focused awareness. A relaxed, friendly and unintimidating atmosphere. Friends (but let us know). A cushion, small blanket, mat (if you like, but not essential). 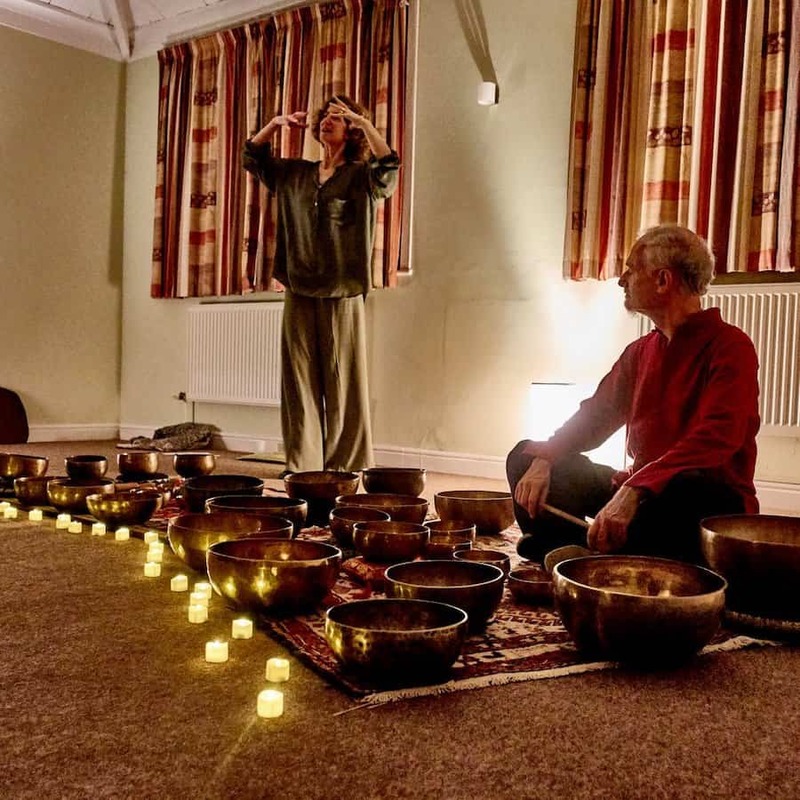 These Qigong and Tibetan Bowls workshops happen four times each year (at Solstice and Equinox) to honour and align ourselves with the seasonal shift. They are run by me together, with sound healer Nick Tischler. 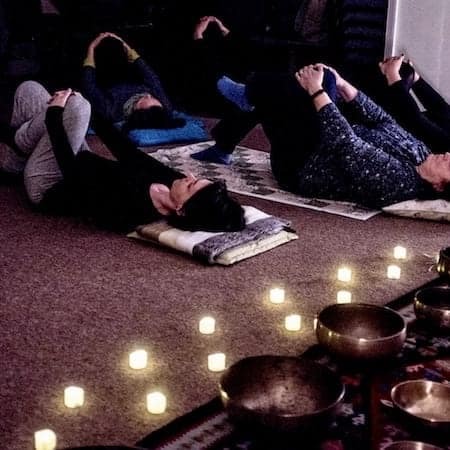 Nick also hosts monthly Tibetan Bowls sound baths at the same venue, sometimes working with healers from other disciplines. See the Self-healing With Sound and Movement Facebook page. 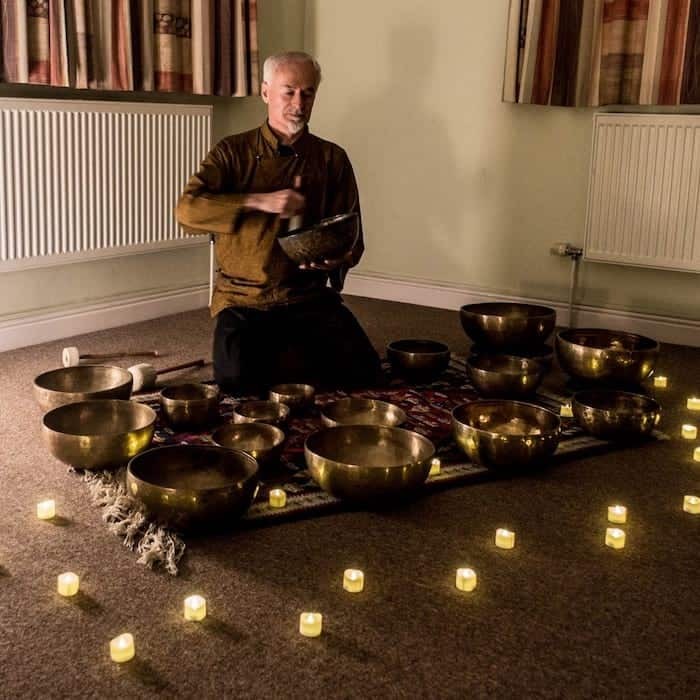 We started the Qigong and Tibetan Bowls sessions because we find that, by bringing together the gentle movements of the ancient Chinese art of Qigong (related to Tai Chi) with the beautiful sounds of Tibetan 'Singing' Bowls, we amplify the deeply healing powers of each. We wish to share these benefits with other people who are looking for new ways to nurture their own health and wellbeing. 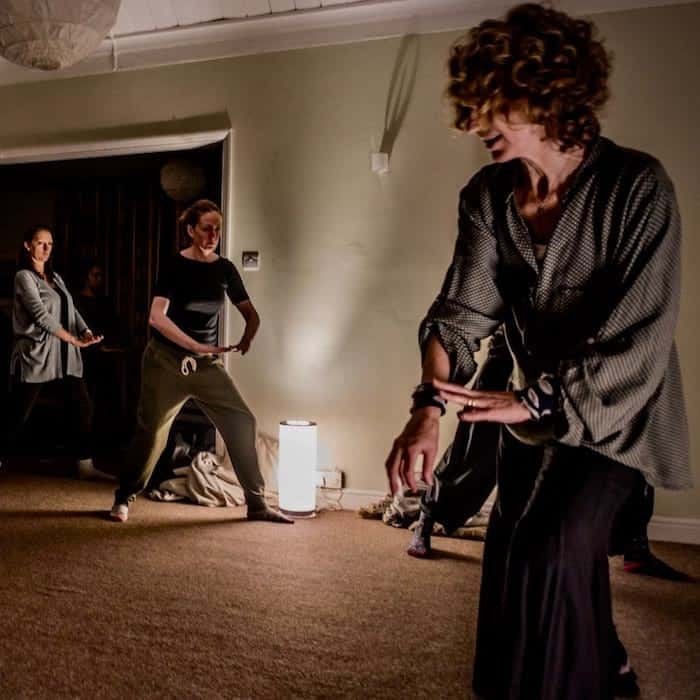 Each of our sessions is a healing moment in itself as we bathe ourselves in sound and movement, which open up energetic blockages as they draw us away from our daily cares towards sensations of our bodies. It is also an opportunity to deepen our understanding of how to use sound and movement to self-heal at home. - You can do the Qigong movements sitting on a chair, if standing for long periods or getting down on the floor is a problem for you. - If you are paying in cash, please bring the right change, don't forget to pay and sign your name in the book (even if you have been before) and tick to confirm payment. Thanks. 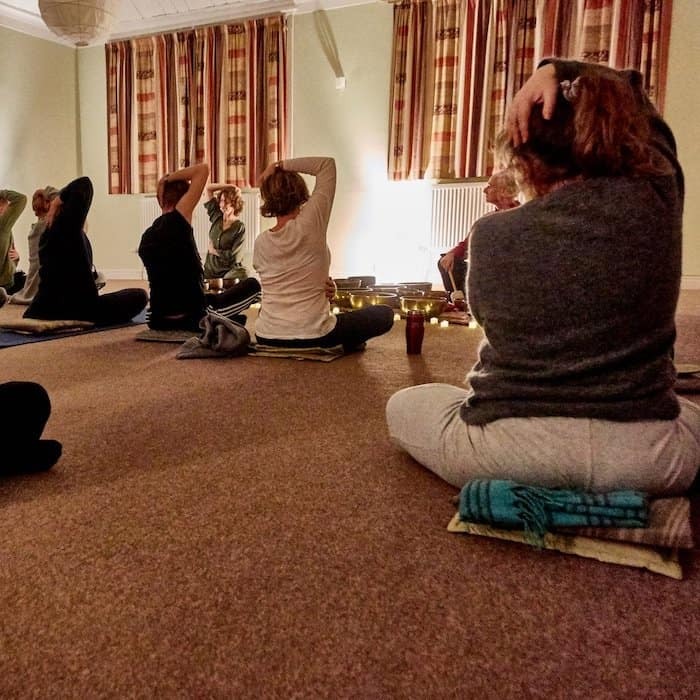 “It was a lovely evening, full of resonance and flow.” — Ashley S.
"A lovely relaxing and energising evening." — Sunbeam. "A great experience. Highly recommended!" — Asia P.
"Wonderful. Just what I needed." — Caroline I.